If your digital camera is only creating photos like CIMG0282.jpg you may feel the desire to rename those photos once they have been transferred to the PC for easier recognition in the future. While you could place them into properly named directories, you'd end up with the photo names being displayed in some occasions. 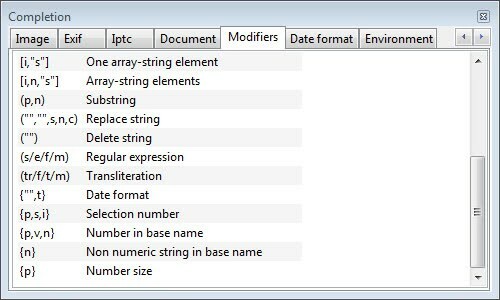 When it comes to renaming files you have the professional tools like Bulk Rename Utility which may seem complicated to use at first (check the screenshot), or simpler programs like ReNamer which do not offer that many features but are easier to use because of this. Siren sits somewhere in the middle. The developer of the file renaming software is currently working on version 3, which has recently been released as a Release Candidate. When you start the portable application after downloading and unpacking it on your system, you will see an interface that looks like the one on the screenshot below. You use the left sidebar to browser to a folder containing files that you want to rename, and make a selection here with the checkboxes. You can select all files automatically, or select files. If you want, you can also load all files residing in subdirectories into the current root folder (virtually) to process them as well. If you know your way around the program, you can simply type a new format into the expression field and watch the new name field to check up on the new file name. Every change you make to the format is reflected here right after you hit the return key. If you are new to the program, you have two options to get used to it. You can first click on the blue button next to the expression field to see a list of all supported variables. Next to standard variables like the file name or extension, are file specific variables like audio or video tags, Exif information when it comes to photos, and even system environment variables like the home directory. The second option that you have is to use the built-in wizard, the second button in that row, for a visualized process. Here you see the current and new name at the top, and renaming options below that. Everything that you select here is reflected automatically on the same page so that you can verify the new name before you close the wizard. 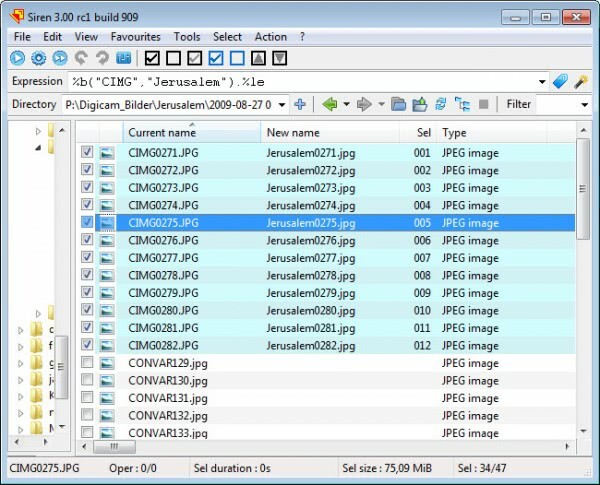 You have got the option to replace the existing files with the new names, or create copies of the files instead. Siren is a sophisticated file renamer for Windows that leaves little to be desired. If you are currently looking for a renamer, I suggest you try it out. It is compatible with all recent - and not so recent - versions of the Microsoft Windows operating system. Thank you Martin for this tool ! Where’s the link to version 3? In the table on the page that I linked above.